LESS THAN 1 MONTH TO GO for the August 21, 2017 Total and Partial Solar Eclipse Across the USA. NASA just released Safety Tips For The Eclipse - so PLEASE read and heed this advice. I will have more on the eclipse as we get closer. 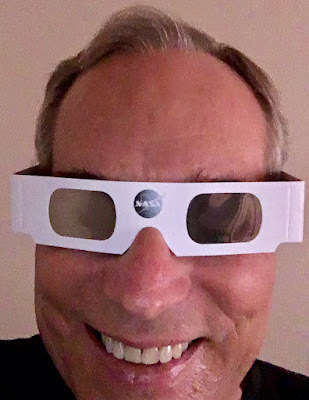 NASA Equipped for the eclipse! If you haven't gotten yours yet you should do so now.